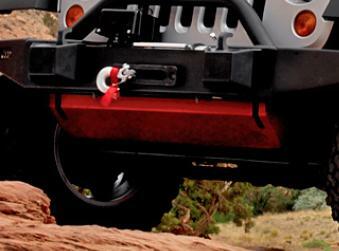 When the going gets tough, you need a tough skid plate to protect the critical parts under the front end of your Jeep Wrangler. 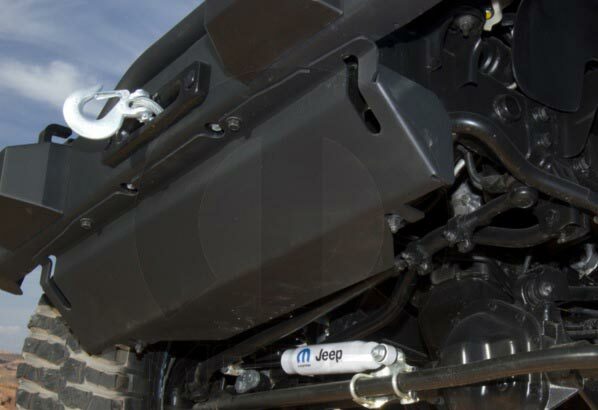 This skid plate (part number 82213581AB, replaces 82210401AB), made by Mopar, is made of heavy-gauge steel for maximum strength and is finished with black powder coat, the most durable paint available. (Note: The skid plate is delivered in black. The red skid plate in the photo is for illustration only.) The skid plate protects your fragile steering parts and sway bar and can be used with standard or other Mopar bumpers. More expensive than the non mopar ones, but installed easily and looks great. I used this with my new Mopar bumper. The quality is excellent and the price is right. No comparison to the cheap stock part it replaced. ProsStrong and great factory fit.